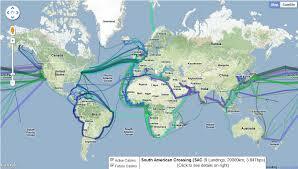 Broad purpose of this lecture is to present Submarine Cable System; here focus on the Link between China and Korea. A submarine communications cable is usually a cable laid for the sea bed in between land-based stations to hold telecommunication signals around stretches of underwater. This lecture briefly discuss Configuration for Repeater system and Repeaterless system. Here mainly describe three options of system between Korea and China were shown. This lecture try to find out the standpoint of the cable capacity and cost, Repeater system is more attractive for the system between Korea and China.